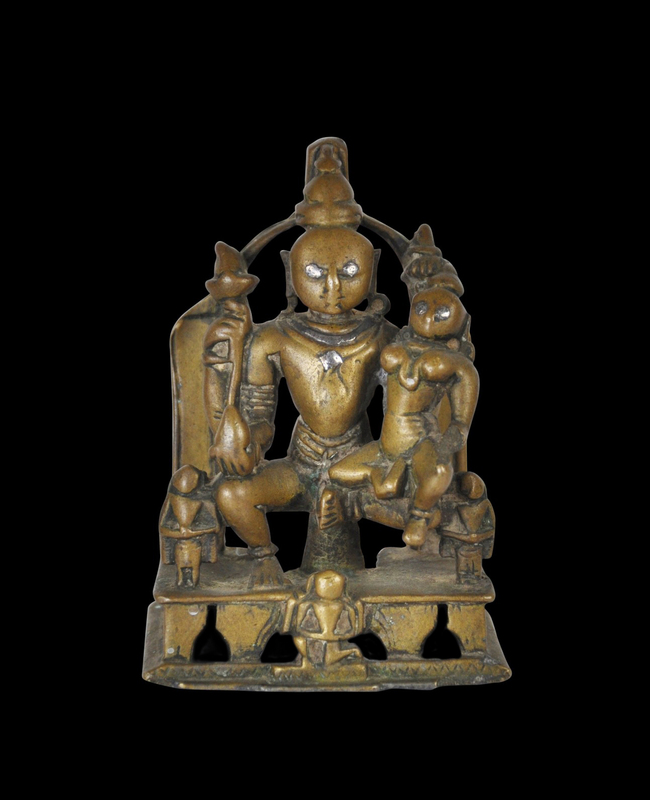 This interesting cast miniature bronze, from Western India, shows the Jain deity Ambika (or Ambika Devi) and associated deities. 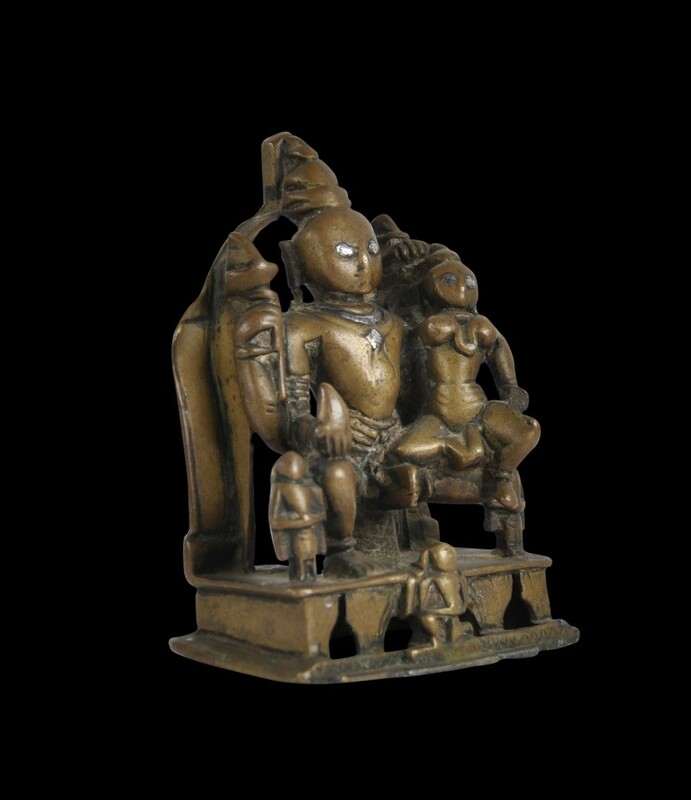 It is in inlaid with silver – the eyes of the goddess, her child and the srivatsa symbol on her chest are all set with small silver inserts. 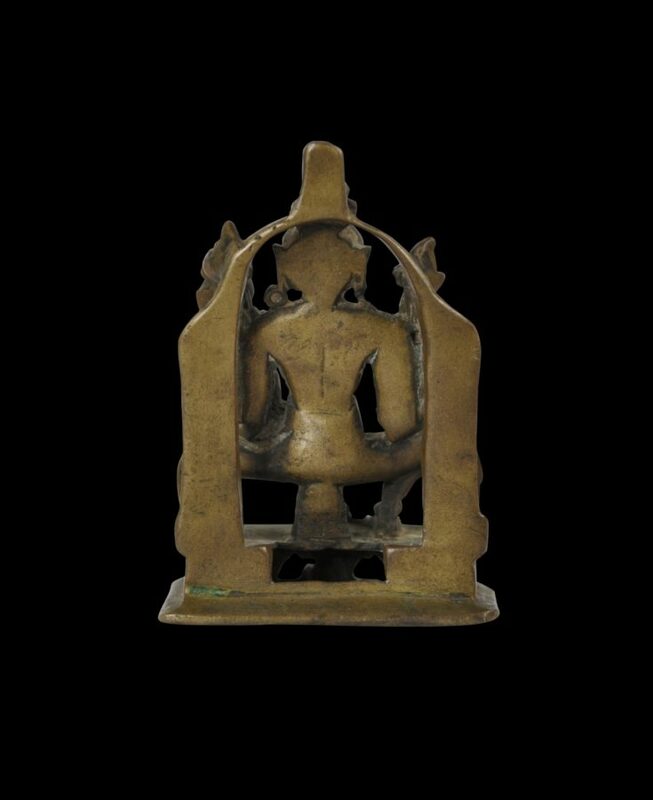 The image shows the four-armed goddess seated on a raised, pierced platform. She holds various attributes in her fours arms including a fly whisk and in her lower right hand she holds a mango, an identifying attribute. 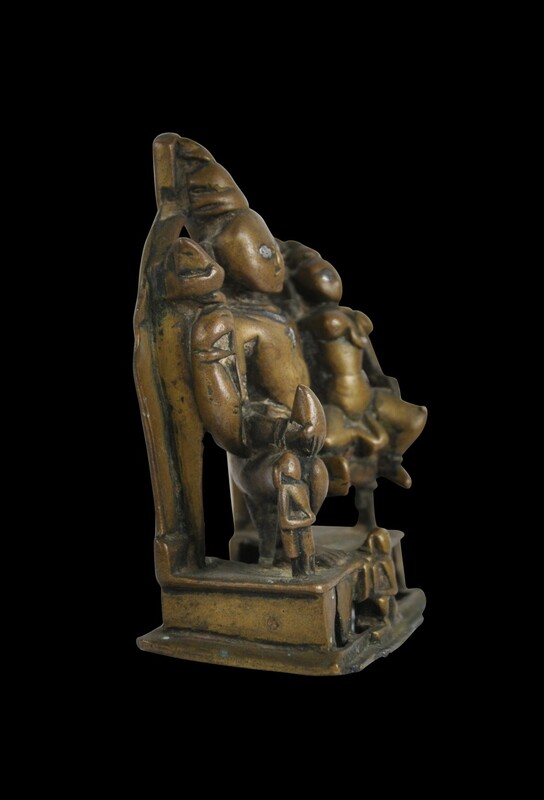 In the other, she holds one of her sons, either Priyankara or Shubhankara. A pierced aureole or backing plate rises from behind Ambika and is topped by a kalasha vase. 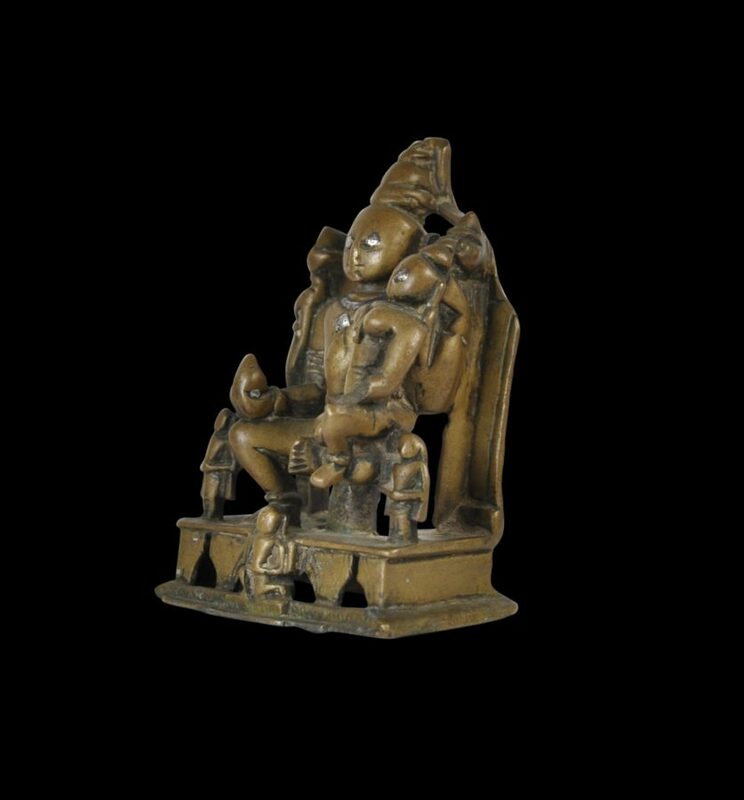 Ambika (‘Mother’), in Jainism, is the yaksi or dedicated attendant deity or protector goddess of Neminatha, the 22nd Tirthankara. Typically, she is shown with one or more children, often beneath a tree. It is likely that the mango that she holds in the image here are symbolic of the tree with which she is often portrayed. The piece shows significant age. It has a good, varying patina, and features worn with devotional (puja) wear. van Alphen, J., Steps to Liberation: 2,500 Years of Jain Art and Religion, Ethnographic Museum Antwerp, 2000.